Ripoff Report vs LIFE Ionizers, Who Should You Trust? Who should you trust? LIFE Ionizers or Ripoff Report? Trust Ripoff Report with a Better Business Bureau score of F, or trust LIFE Ionizers that has earned a BBB rating of A+? 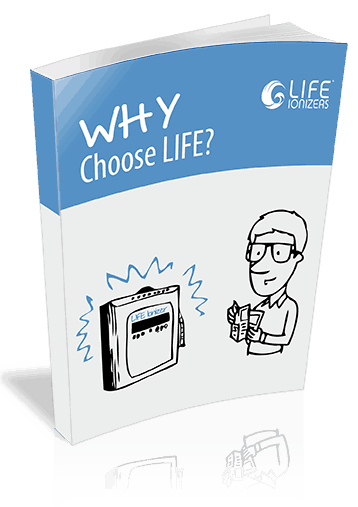 LIFE Ionizer actually cares about customer service, the Ripoff Report is just a scam. The answer is easy, trust LIFE Ionizers. Why does Ripoff Report get a failing grade from the Better Business Bureau? Because the Ripoff Report simply doesn’t care about customer service – they make no attempt to respond to the consumer complaints against them on the BBB. A representative from Ripoff Reports confirmed to the BBB that they will not work with the BBB to resolve consumer complaints against them. So the BBB correctly gives them an F rating as a business. Simply put, an F rating from the BBB means that they do not believe that the Ripoff Report is a safe company to do business with. Ripoff Report is a scam. We aren’t the only targets, Ripoff Report exists to leverage any possible disgruntled consumer complaint into a profit center for Ripoff Report. Ripoff Report Lie To You – Then Dump The Customer. For over 20 years Life Ionizers and EarthTrade Water has served the health needs of it’s customers with the best, most technologically advanced water ionizers on the market. EarthTrade earns it’s A+ rating, the highest possible rating, with the Better Business Bureau with quality product and quality customer service. EarthTrade is a real, legitimate business with a long track record of quality products and service. 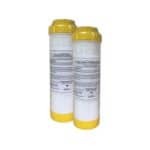 Take a look at what reputable sites have to say about LIFE Ionizers. The consensus seems to be that Life Ionizers Alkaline Water Machinesare the safest, best built, most powerful water ionizers made. 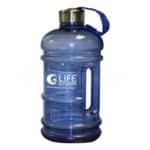 Unlike some other manufactures and re-sellers, LIFE Ionizers Alkaline Water Machines are the real deal. Find honest reviews of Alkaline Water, EarthTrade Water, and LIFE Water Ionizer reviews: Amazon, Trust Pilot, and Reseller Ratings! Veteran relies on Alkaline Ionized Mineral Water for increased endurance, sports hydration and peak performance. 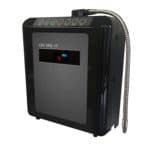 For more detailed information on the full 2019 LIFE Water Ionizer MXL series read the article on our main Life Ionizers website – 2019 Life Ionizer Alkaline Water Machine models and also here Alkaline Water Ionizer Reviews. We are glad to answer any of your questions, and provide you with a free, no obligation consultation, at 877 959-7977.